You already know that exercise builds strong muscles and bones. But did you know that physical activity can boost your child’s brain? Increasingly researchers are finding that brain activity and development are linked to physical exercise. It now appears that movement stimulates brain growth and facilitates connections for learning. Regular exercise and physical activity are critical for healthy brain development in children as the brain receives important nutrients when your child is active. Physical exercise activates nerve cells in the brain and creates neural pathways that are fundamental to learning. That’s why babies learn best when they are naturally active. They exercise all the time as they creep and crawl. Studies show that physically active children also do better in school. 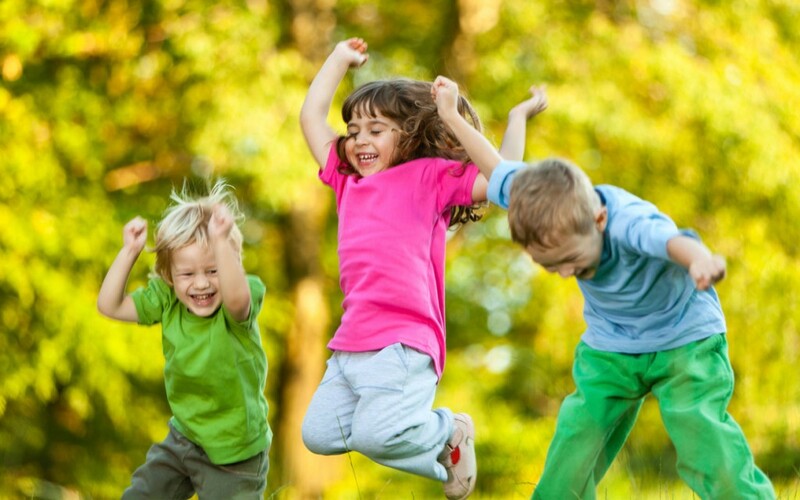 Exercises release the happy hormones called endorphins and give children an all round good feeling. Healthy, physically active children are academically motivated, alert in class, have better attitudes towards learning and have better scores. Physical competence builds self-confidence which is so important for school success. So put away the assessment books and get your child to learn better, simply by encouraging what comes naturally to them : Play! Play need not be organised or structured. When adults think of exercise, we imagine gym workouts and jogging. For kids, exercise means playing and just being active. Kids exercise all the time without even thinking of it. Kids are active when they run, catch ball or ride bikes. You can encourage them to do a variety of activities so they build endurance, strength and flexibility. These elements help them to manage the physical and emotional challenges that a typical day brings. For endurance building, try aerobic exercises like swimming, cycling, skating, soccer or even walking. You can improve strength by exercises like push ups, pull ups, running, bike riding and tug of war. It’s easy to find things to do for flexibility. Simple stretches like bending down to touch toes, side stretches, tumbling, yoga, ballet and martial arts are motion activities that help children become flexible. Don’t get carried away with too many structured programmes. Kids will do better if they enjoy the activity. If the programme emphasises competition over fun, then you need to think twice. Make it a family activity and you will find that everyone benefits. Kids love to see their parents play. All you need is a ball and an open field. Or a set of badminton rackets. Genetics, personality traits and athletic ability can influence a child’s attitude towards sports. Understanding your child’s fitness type and temperament will help you find the right activity. Your child has athletic ability. Shows keen interest in physical play and is committed to a sport. Cheer them on, be there for every practice, and support them if they want to excel in the sport. Your child lacks athletic abilities and is reluctant to exercise. Encourage your to child to get and stay physically active. Focus on the activity rather than the performance of your child. Be active yourself and show a positive attitude. Soon your child will grow to see exercise as a fun part of family routine. Your child enjoys playing and is interested in being active, and is perfectly happy being a casual participant in sports. Allow them to find enjoyment in physical activity. Do not push them into a competitive environment. Team sports are a good way to encourage continued participation in sports. If they learn to love activity, they can move on to more complicated sports when they are older. Kids who enjoy physical activities stay active throughout their lives. Regardless of your child’s age or personality, you can make a big difference by getting them to like physical play. They will thank you for it when they are healthy adults!